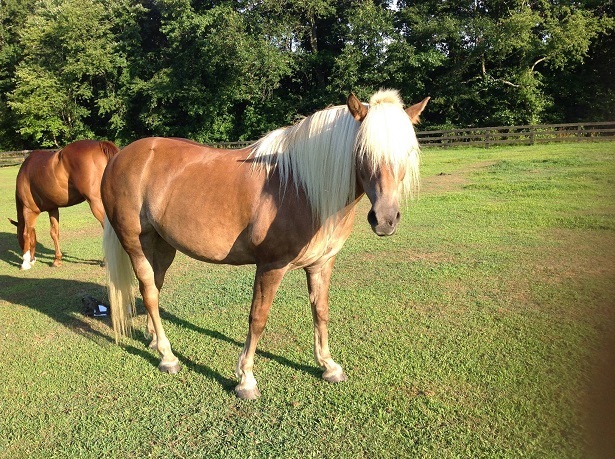 Dory is a Halflinger Mare who was born in 2006. Dory was purchased in 2010 with money donated to us by Melinda Steele. She has become a wonderful therapy horse and enjoys teaching our riders all about horsemanship. Our riders and volunteers love brushing her beautiful locks of hair. 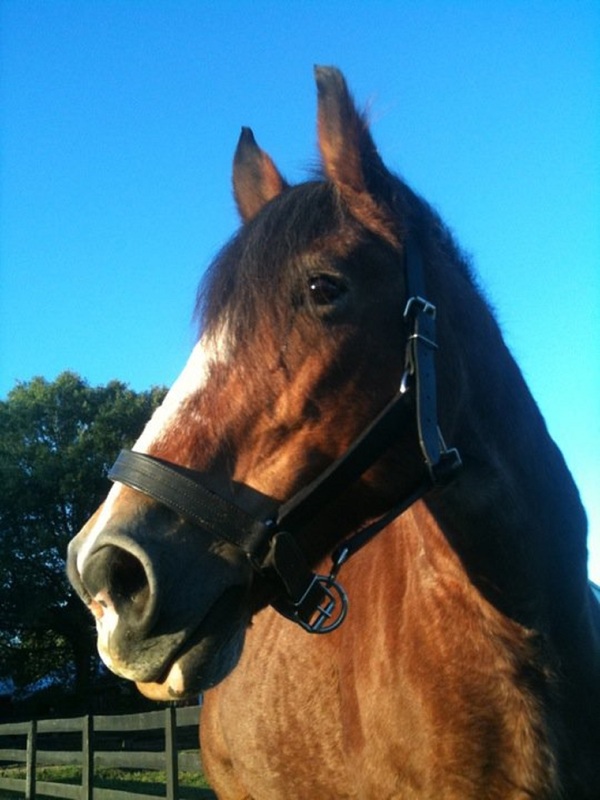 Dory enjoys spending her time relaxing in the sun, and instructing her riders on how to steer. 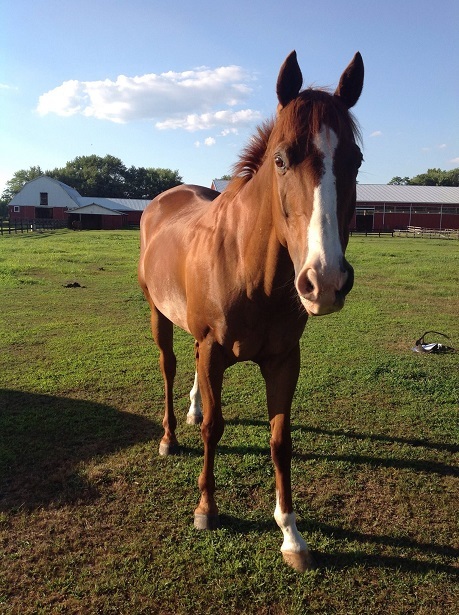 Benny was donated to us in 2015 by Amiee Poris from Ev-ry Farm, Inc. Benny is a 15 year old Appendix. He is a very well trained schoolmaster. His specialties are teaching the beginner rider, giving good hugs and making funny faces. Benny is a wonderful asset to Beyond Balance. 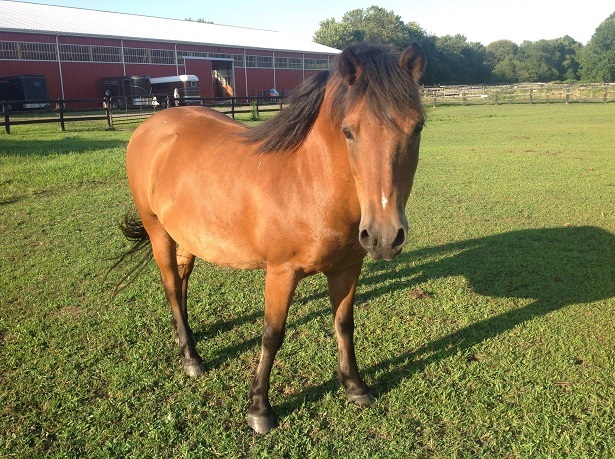 Guinness is a Welsh Pony Cross Gelding born in 1990 generously donated to us in 2009, but has been in the program since 2007, by Morning Mist Farm. 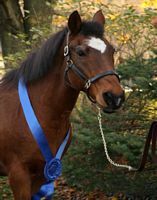 He has taken many children to horse shows riding and driving and enjoys winning ribbons. Lady was a gentle soul who was loved by everyone. She was a soft shoulder to cry on and a great horse to hug. She loved being groomed, and people loved grooming her. She will be missed by everyone. Rose spent her life working so people can survive as a Amish plow horse. She got to spend the last years of her life continuing to help people in a different way. She helped all of us, as we helped her love again and be at peace. 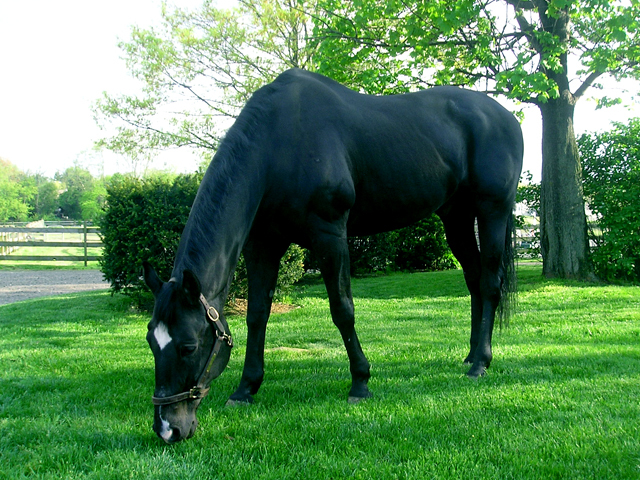 Jazz was a wonderful therapy horse and companion who brought joy to so many lives. His crazy faces and antics will not be forgotten.